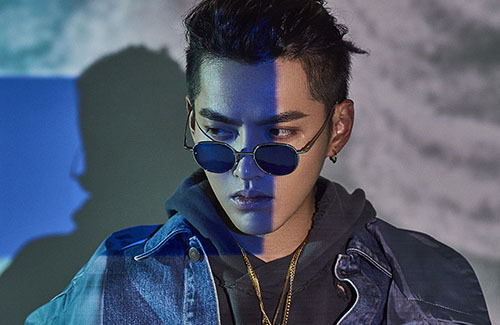 Kris Wu (吴亦凡), one of China’s most popular young idols, has been invited back to judge the second season of The Rap of China <中国新说唱>, the revolutionary singing competition that catalyzed the popularity of Mandarin rap in China. It was the show that meme-ified the phrases “Do you have freestyle?” and “Skr”, both which were said by Kris on the show. He continues the track by saying that he won’t take any of the online criticism to heart because “[they’re] not on the same level.” Netizens are keyboard warriors that merely hide behind a screen and never take responsibility over their words. Some hate for the sake of hating, and many spin hateful words without attempting to understand the situation first. Even when he was in EXO he was always known as a bad rapper. Is he really that bad or just getting a bad rap? @msxie0714 haha i see what you did there xD! So just had time to check out the video, at first I thought he was just answering/saying his inner thought, then I remembered the article and realise that this is the song, wow dude, speaking in a straight tone like reading a line is not rapping, stop embarrassing yourself! Kris didn’t take any criticism to heart but yet made a diss track? Haha, okay. I think the problem with Kris and many of the new mumbling rappers is, he perceives hip hop and rap to be like fashion, something you can wear, flash, show off, and become if you act hard enough. But hip hop and rap is much more than that. It’s about passion, hardships, deep lyrics, and life. It’s not how ghetto or arrogant you act or how many chains you wear, it’s about how kickass and badass you can use your voice, brain, and body language to connect to people. Everything is skin deep for Kris. That’s what makes him a bad rapper. He has no soul to rap. He’s just dropping words. Just because you collaborate with other rappers, release diss tracks, and mumble your words with a bad attitude doesn’t mean you know how to rap. Instead of wasting all of his energy looking mad, tough, and cocky like someone stole his money, he should focus that energy on becoming more genuine. He needs to be more authentic. ^I like him. He’s different, unique, can sing, rap, compose, and play instruments. His voice is full of emotions, lyrics are thought provoking, and very entertaining to watch, personally. I’m not much of a rocker or rapper fan but definitely enjoy his performances.